Thanksgiving is a time to show your love, care, and gratitude to your loved ones and if you are a happily married couple, then you are thankful to have such a wife or husband in your life that makes it pleasant. There are a lot of ways to wish someone i.e. through wishes, greetings, poems, e-cards but letter writing on this particular day makes the recipient and the occasion even more special because you put your efforts in conveying a detailed message to them. Love letters are meant to be sent to husband or wife because they play the most important part in our lives. 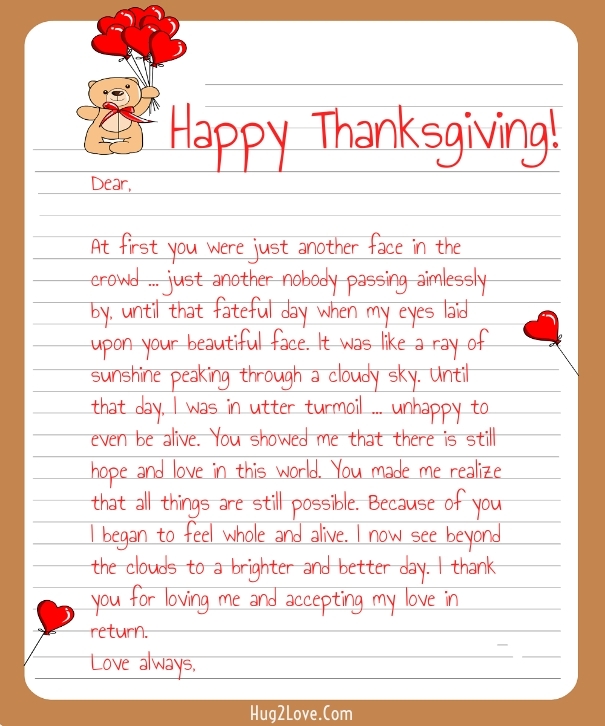 Here we created amazing long Thanksgiving letters to get ideas and send to your life partner. The above letter is written to thanking your wife or girlfriend who is with you from last few yeas. The letter shows we met two years ago but you can change it accordingly and use other words to make it suitable for your wife. It has really meaningful and deep wordings like, “Thank You for being mine!” and many others. I hope you send it to your dearest spouse and make her heart melting for you. Good Luck. But hey, now read the next letter may be you find that one is more romantic than the first one. The above letter was again for her from husband or boyfriend but it is lengthy and described feelings briefly. This letter is actually to tell her how much beautiful she is for you and how you met with her for the first time in the crowed of thousands. This letter is really heart touching and meaningful if you read each and every words carefully. Feel free to change facts, dates and timing according to your own personal experiences and happenings. Finally here is beautiful love letter for him that could be your husband or boyfriend. You can thank him for all his good deeds like your care, trust, love, protection and respect. 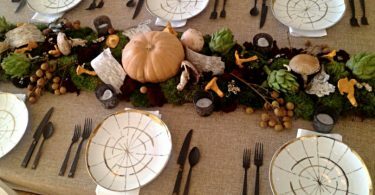 As the name Thanksgiving indicates, the event is all about showing gratefulness so your letter must contain thanks, appreciation, and gratitude for all that the recipient had provided you. If it is a message meant to be sent to your wife or husband then make sure that you address your letter warmly and make it personal and sincere. Remember that your husband will not only be the one who will write a letter for you, but he would also love to receive a Thanksgiving Love Letter from his wife. So your letter could be a short one portraying the real feelings that you have for him in your heart for the man or woman of your life. Now this one is generic love letter to thank your dear or darling. 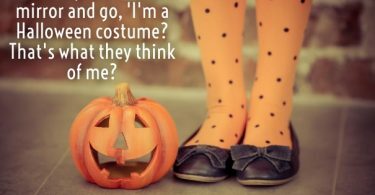 you can send this one to anybody. Just make sure you change it a little according to your needs. In the case of the husband, you can show him your gratefulness for all that he had provided you with, for his ever-lasting love and feelings for you and the support and encouragement that he had provided you at each and every step of your life. You can also sum up your married life experience in your letter to appreciate the simple things that you have noticed being a part of your husband’s life. In the case of the wife, the letter must contain simple pleasures of life’s moments that you have spent with her, thanking her for the delicious foods that she serves you daily, for the things she does for you and for the supportive role she played in your life and your achievements. The husband-wife relation is the most lovely relationship on earth so you should avail each and every opportunity for the expression of your emotions to each other. 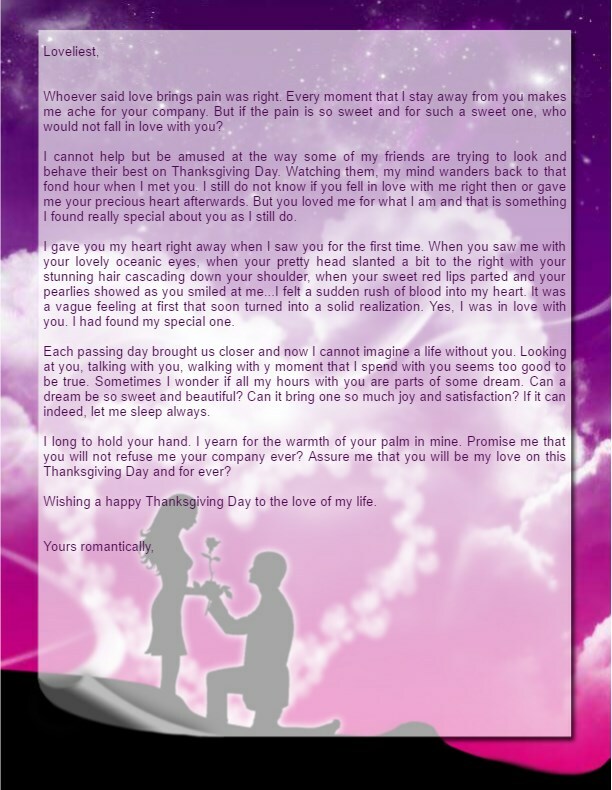 Check another sample of letter I collected for you and decorate it with beautiful background image. Sometime we travel for study, job or any other reason and forced by the situation to celebrate events outside from our home and family. This situation is very heartbreaking and you miss you family very badly. In this condition, writing a thank you letter to your family is absolutely great idea. Write an informal letter to your family, address everyone like your brothers, sisters, Mom, dad, your pet and other family members who matters for you. 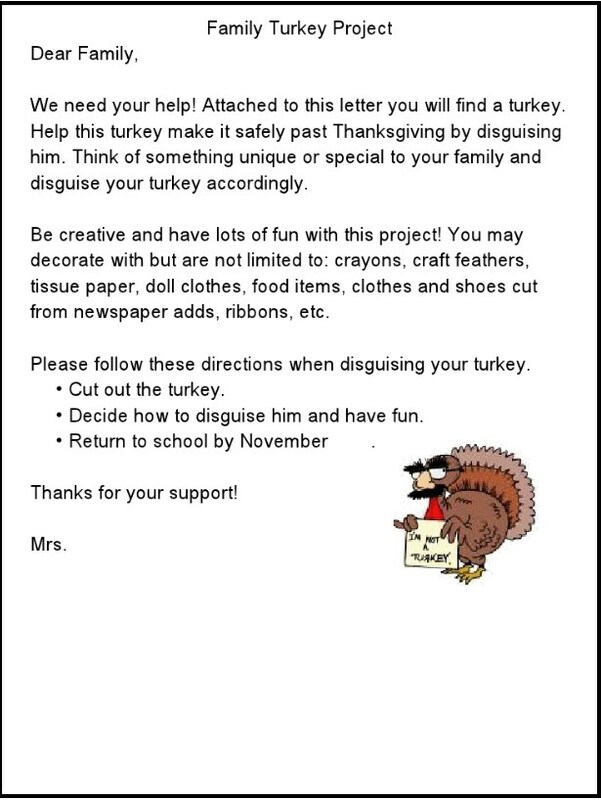 Here is another example of thanksgiving letter for family you may need to look to get some idea and then write it in your own words and add your feelings to make it more personal. I hope you like all these letters and after reading this post, you will be able to write a perfect letter to anyone of the occasion of thanksgiving. If you feel any confusion and problem. Do let us know in comments or via contact us form. We will surely help out each and every query asap. Thanks again for being here.